The timber truck with a crane-manipulator is designed for collecting, loading and transporting of logs and other round timbers, as well as for loading and unloading operations, sorting and stocking operations during timber harvesting. 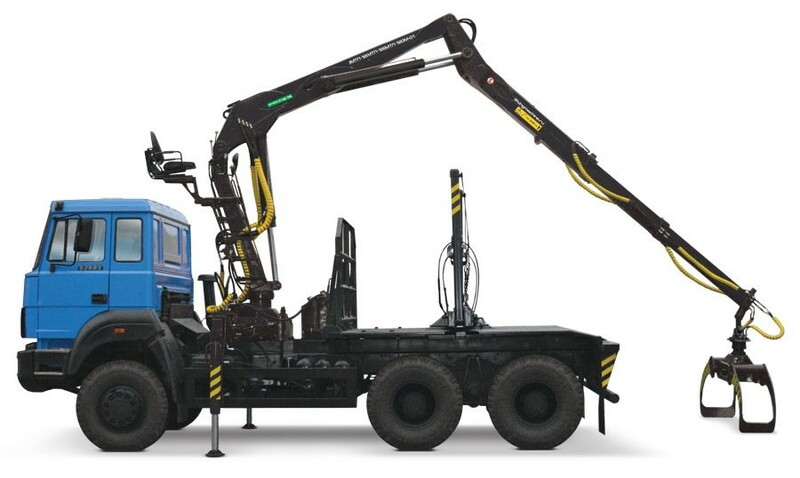 A distinctive feature of the timber truck with a crane-manipulator i is the cast design of the basis and the bottom of the rack, that provides an increased margin of safety. The timber truck is equipped with a hydraulic distributor, which allows you to simultaneously and accurately perform several operations at work.